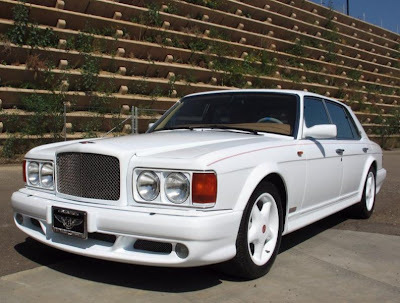 So Bentley Spotting is becoming quite a resource for having a bow peep at modern Hooper cars. Take a look at some Hooper posts here. This Bentley Hooper 2 door is one that has not been posted here before. The number of these cars spotted are every so slowing growing! Do keep sending them in. This photo was taken in the mid 90's in Monaco. Now here is a photo of the very first Hooper 2 door in production at Hooper and Co. 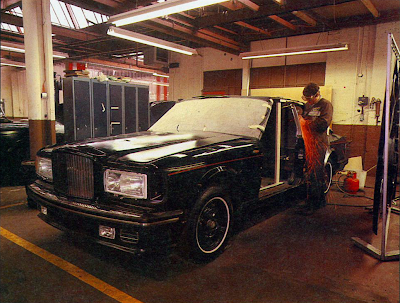 The man working on the car is an ex Rolls Royce employee called John Ryan. 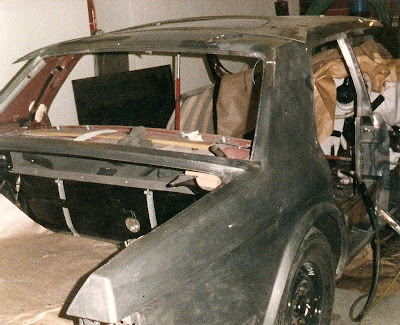 Here is another photo of a 2 door Hooper in production, with a detail of the Hooper rear window. Quite serious metal work! Thanks to the people who sent them in. 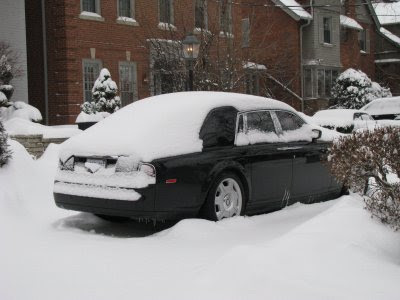 Well Paris Hilton bought herself a new Bentley for Christmas! West Coast Customs made it for her with some features that generally do not come from Bentley Mulliner. It has been ever so slightly slightly customised to match her dress. It features a full Strut Grill kit and quite a big stereo only for pop music. The colour coded wheels were from the catalogue however. For sure. And as this car slightly stands out, it has already been spotted on the street. 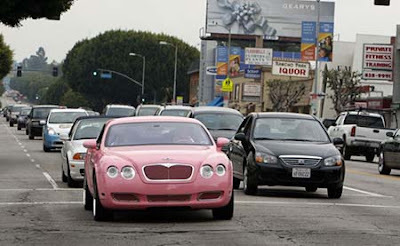 Little do people know it is quite normal to see a Rolls Royce or Bentley in pink. Here are a couple of retro spottings in pink. Thanks to David for the retro spottings. I am having a slightly unusual Christmas on the tropical island of Koh Samui in Thailand. 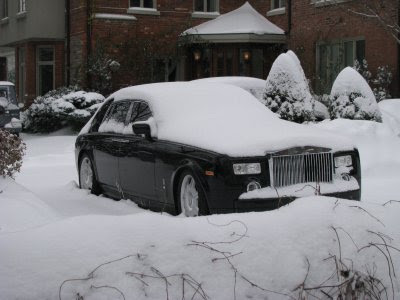 And David spotted a suitable Rolls Royce in Toronto. Certainly a nice Christmas card. Happy New Year from Bentley Spotting. I am going on holidays for 5 weeks from today, so I do not suspect I will be able to post Bentley Spotting articles during this time. As a taste for what is to come in the new year, take a look below. A post on the Bentley Turbo RT. 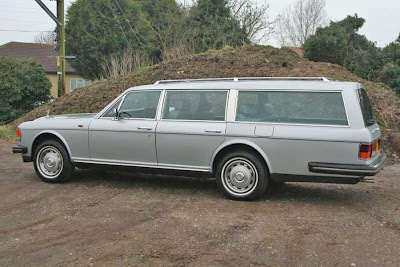 A hearse looking station wagon. 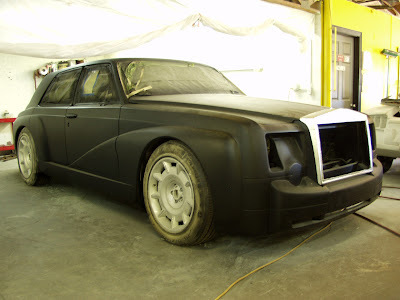 Pictures of the construction of a coachbuilt modern Rolls Royce Phantom. 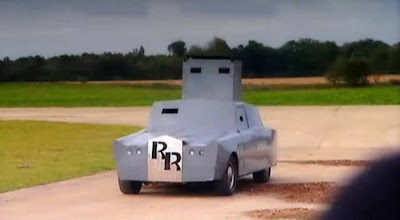 How about a modern armoured Rolls Royce. Based on the Queen's one. 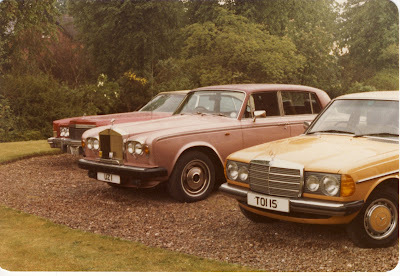 And I have been collecting pictures of this gentleman's Rolls Royce collection. 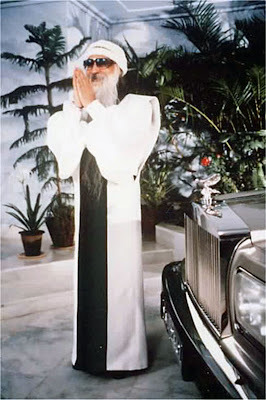 The Rolls Royce guru, Osho or Baghwan Shree Rajneesh. Please do send in picture of this cars if you have them. 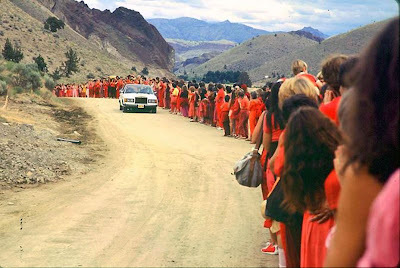 His followers gave him 84 Rolls Royce cars in total, that were all sold off to a Texas car dealer Bob Roethlisberger in 1985. 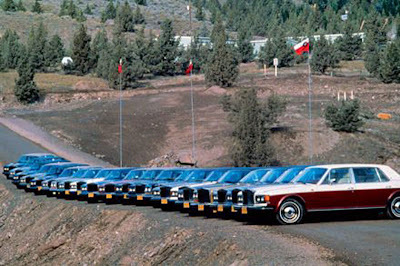 There was an auction on the 8-9 February 1986 to sell the 84 cars. If you have pictures, do send them in. As usual there will photos of cars that you may not have seen before as well on Bentley spotting in the new year. Happy Chrismukkah and have a great new year. 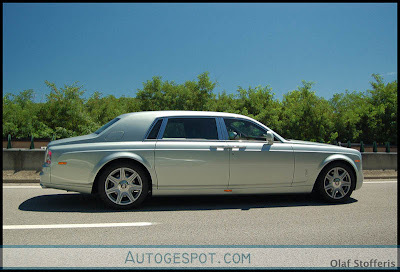 The appearance of the Rolls Royce Phantom has not changed since 2003 when it was first released. 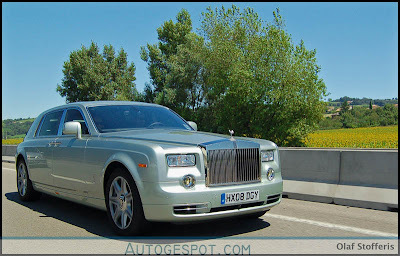 This is not unusual for Rolls Royce, but in the current climate a slight bumper bar update and a little tweak here and they are slightly behind. That is why this spot is a little interesting. Take a look. 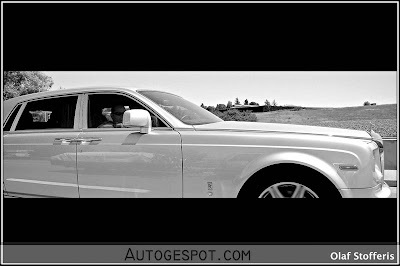 French car spotter REDLINE--- from Autogespot happened to take these pictures of a Rolls Royce Phantom extended wheel base. Take a look at the revised front bumber bar and the larger rear view mirrors. Also the wheels are larger. And are those rear lights a little different? These could be special order, but somehow they look like an updated version. I do like a little inappropriate driving. Maybe inappropriate is a little wrong. Let's just say it is driving in different conditions than usually expected. Expected in a city that is. Is is a good thing that the Bentley Continental GTC has 4x4. Jay Leno's Garage is very extensive. He does have a great Bentley section. Here is an example. If a car company takes around a decade to do something that people want, generally the people will do it themselves beforehand. 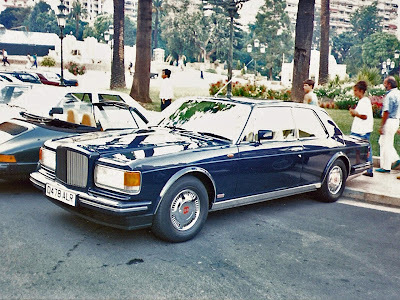 That is why I have always expected to find a Rolls Royce Silver Seraph based Bentley Corniche. Think about it. All it is a grill, badge and wheel swap. Surely one of the 374 owners would have thought about it. But a picture has never popped up. 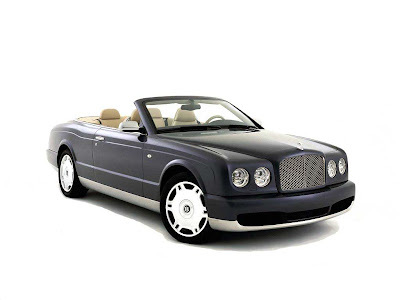 You would also get the new version of of the Bentley Azure. Kind of. Let's take a closer look at the Corniche versus the Azure. Besides the obvious front headlights that are pre 2005, with a Bentley grill, badges and wheels it would look like an Azure. But take a close look at the coach line. It is surprisingly quite different. 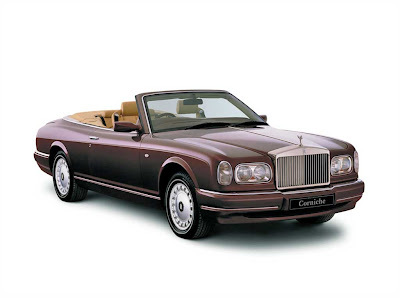 The Corniche is straight, whilst the Azure has a distinct arch over the rear wheel. I would have to say, the Azure coach line styling does the job a little better visually in my opinion. But I would take either. I do like to see Bentley cars from all around the world. 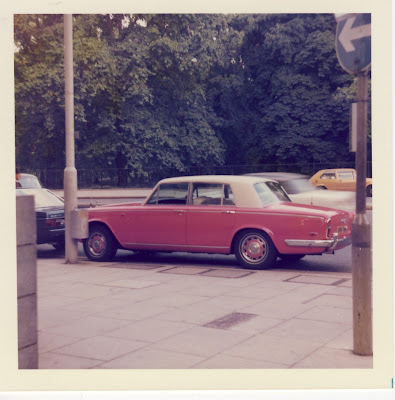 Especially older continental cars on the continent. It makes sense to drive them there. These three cars all been driven deep into the continent. So far across, that they have ended up in Russia. 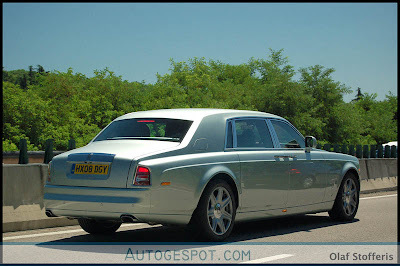 The is a left hand drive Bentley S3 Continental Flying Spur. They are an amazing car. Apparently only 7 were build for export. It is a very practical car to take the family away for a holiday in. Or make that 3 girlfriends - or even four if they are all size 8. Bikinis do not take up much room. 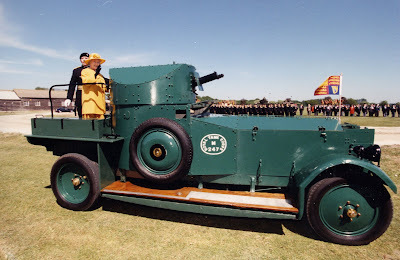 As a random fact only 2 Bentley S3 Continental Flying Spurs were delivered to Australia new, and one of those cars was sold by Rob Bailey for AU$300,000 this year. About the same price as a new Bentley Continental Flying Spur. Now if you are going on a grand tour with only one girlfriend, how about getting an R Type Continental - yes with the fastback body by HJ Mulliner. Some lucky Russian has one. Or if you are more into open top motoring in Russia how about this. A Bentley S1 Continental drop head coupe. The whitewalls do look good whilst motoring! If you really want the R Type Continential it is currently for sale. By an art dealer/gallery. The details are below. Автомобиль прибыл в Россию в конце февраля 2006г.Состояние автомобиля - почти идеальное. Растаможен, поставлен на учёт. Первый в Росии R-Type. Объем двигателя - 4887 куб.см. Мощность - 177 л.с. It would have been a cool day!